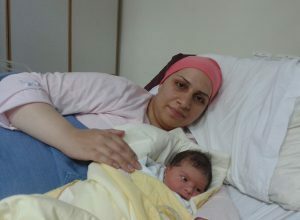 In January, Mariam, only 26 weeks pregnant, was rushed to Holy Family Hospital when she began feeling strong pains. Two years ago, she faced similar problems when her first daughter was born prematurely. 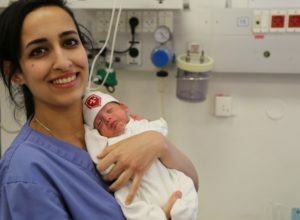 The baby girl survived only because Mariam chose to come to Holy Family Hospital, which was equipped to take care of her and her small baby. Mariam and her husband Yousef were unprepared for the high medical bills. After working with Mary Moah, the hospital social worker, the Poor Case Fund helped to cover a portion of their expenses. 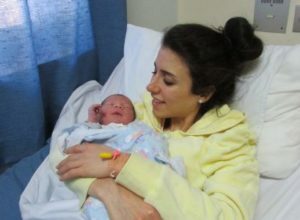 Because of generous donors, baby Leah was able to receive the best medical care available in the Bethlehem region and Mariam will celebrate Mother’s Day with two beautiful daughters this year.